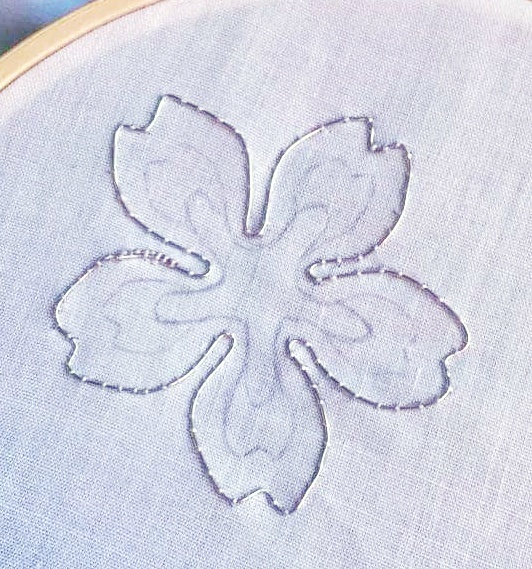 Stumpwork Embroidery - Wired flowers - part one. 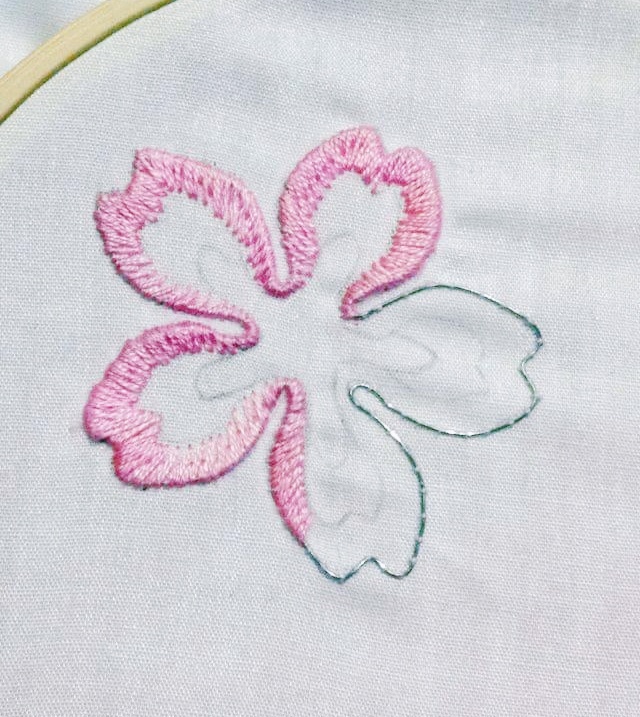 I have been meaning to try this type of embroidery out for ages but never got round to it. However I finally found some time in my schedule and I'm going to give it a try. 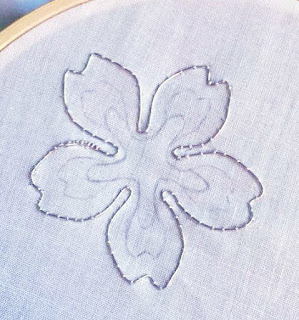 I already had all the materials in my sewing room so starting it was not a problem. I also brought a couple of books on it to give me an idea of how to start. 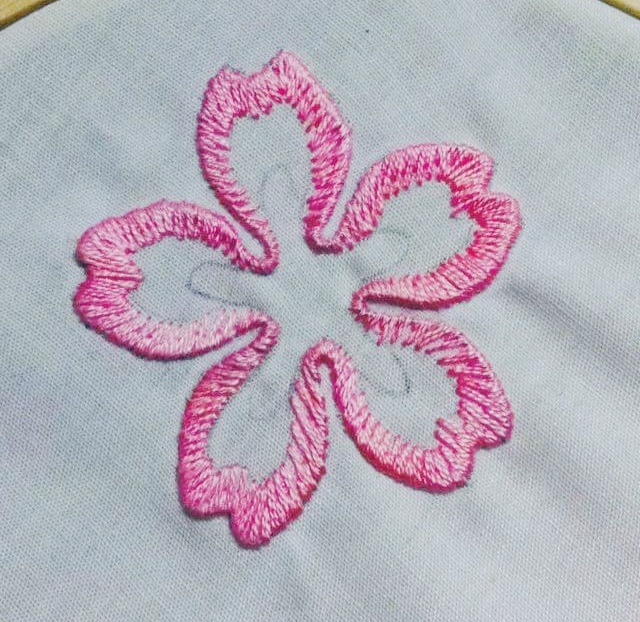 So I decided to start with a sakura or cherry blossom because I had all the floss colours. 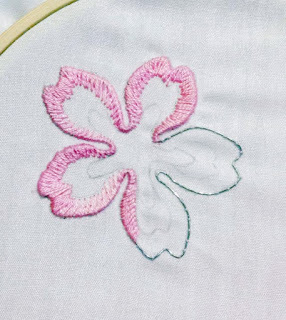 So first thing first I need to couch some wire around the edge of the flower. As I was sewing it down it became obvious that I should have used thinner wire. However now it is done we will continue. 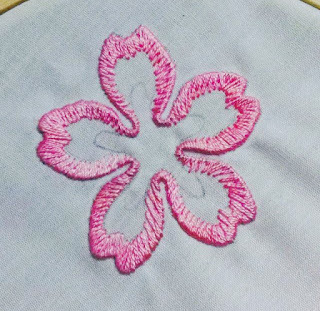 Now to actually start the embroidery. And after a couple more days I have finished one outline.